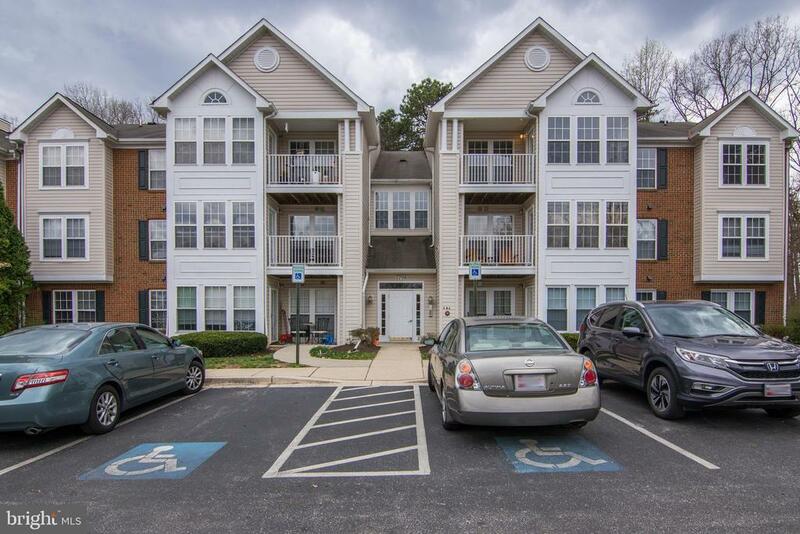 Highly desirable PENTHOUSE Piney Orchard condo in a secured building! Fantastic vaulted ceilings, open floor plan, and plenty of natural light make this home feel spacious and inviting. The kitchen has a beautiful back splash, tons of counter and cabinet space and is open to the rest of the home. Spacious master bedroom has walk-in closet and en suite bathroom. Second bedroom and bath are also nicely sized. This home has brand new carpets and fresh paint. HVAC is less than 2 years old. Enjoy this terrific home and all that Piney Orchard has to offer: Outdoor pools, indoor pool, gym, ice rink (short walk from this home), nature trails and more!! SO close to Ft. Meade/NSA and a quick commute to Baltimore/Annapolis/DC. All you need to do is move right in. Directions: From Piney Orchard Pkwy south to LEFT onto Riverscape Rd. to RIGHT onto Natures Trail Ct, building is in the back right corner backing to trees.